On one level, it's the obvious things like dealing with the frequent politics, the frustrating administrative bureaucracy, and the long, stressful hours that don't always lead to the results you want. Those lazy team members of yours who just don't step up and get the job done. 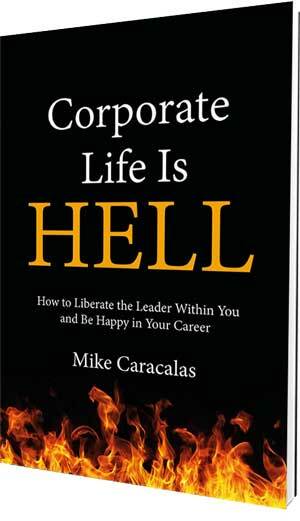 corporate life can be hell because it leads you to be someone that you're not. To succeed, you have to play the game, behave the right way, and leave your true self back at home. Get the introduction to my book for free!